Thanks to our sponsor. Please visit https://movemobility.ca/ for information. 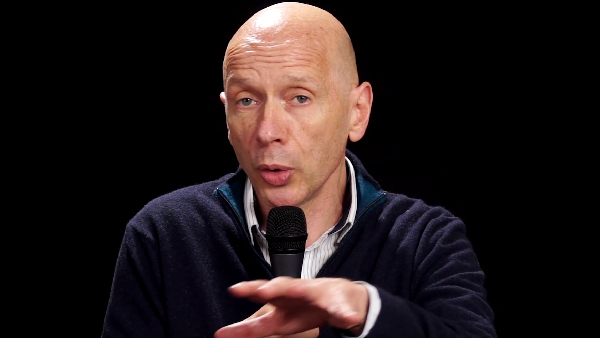 Stephan Posner presents the Mandate and Selection Commmittee process in this video. Stephan Posner, the International Leader, and the Mandate and Selection committee responded to written questions from the delegates about the circumstances, challenges, and the many learnings from the process. The mandate reflects the serious issues unearthed in the process as well as the opportunities to build on the areas where we have grown. The Committee and the Board assured the delegates that they listened to the communities, they worked hard with what they discovered, and made decisions in a process of true discernment. Questions from the delegates led to a passionate, extended conversation prior to the vote at lunchtime. Gary Sim, L'Arche Canada Foundation CEO, presented a report of the experience of the past year, a year of learning and strategic planning for the challenges and opportunities of the coming years. We are in the boat together. Our values guide us, our history anchors us, and our Mandate is the map to get us where weâ€™re going. We all need to grab an oar to help row the boat. The delegates worked together on what each of us can do and what we can do together to make a difference (impact) in our lives and in the world. We listened to each person and took notes, the first step of the process of writing a plan with clear goals (strategic plan). 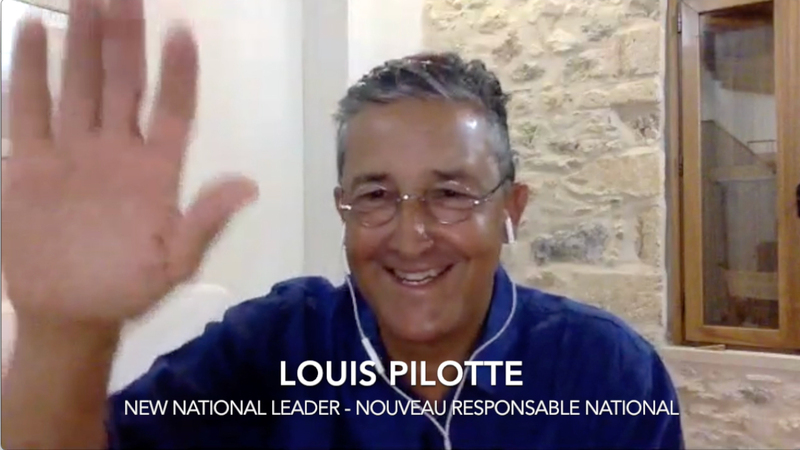 You can watch here Louis Pilotte's call with the delegates. All financial and board nominations passed. The Mandate was approved and Louis Pilotte was chosen to be the National Leader for this Mandate. Louis joined by Zoom and addressed the General Assembly. He is new to us, but wants to build the vision with us and needs our help and experience. Lâ€™Arche is not just for us, but also for society. He is grateful for the work of Hollee Card and Gabrielle Beaulieu which we will build on. We have challenges, but Louis is up for the challenge. Celebration and joy are also important. He is grateful for the confidence of the Assembly. Stephan Posner and John Rietschlin gave appreciation for the honest yet positive spirit of our work together. We have work to do, but we can do it together. And we can go back to our communities and share the energy of this Assembly. 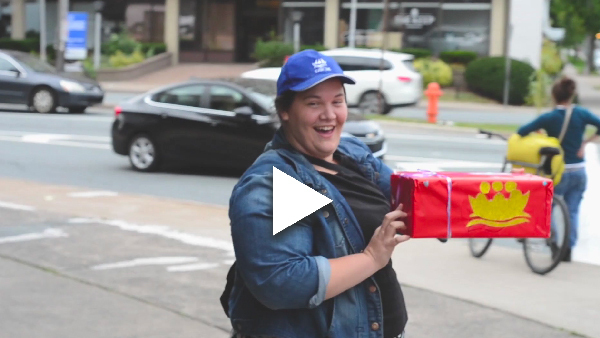 Itâ€™s a time of significant transformation for Lâ€™Arche and we can all be a part of it. Hollee Card, the National Leader, gave a report on what we have built together over the last five years, our strengths and the our call. Together we are responsable for L'Arche; we need to support one another in our complex reality: locally, regionally, nationally and internationally Impact (making a difference) is the way that we should measure our actions. It's important that we are talking to Canadians (in dialogue with our society) so that we share L'Arche's values with more people. Growth, Servant Leadership, and Outreach were at the heart of our mandate and our work. Communication is a challenge between us. We are grateful for having been called to this mission and for those with whom we worked. 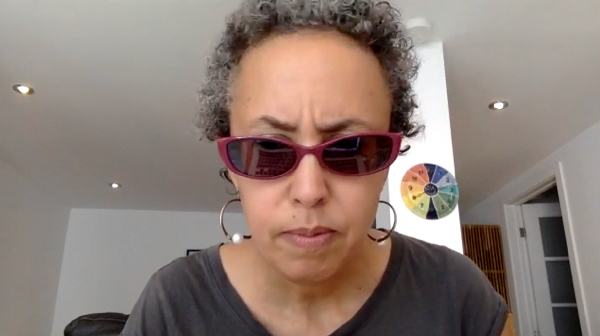 Hollee shared a video she made with Gabrielle Beaulieu. Tricia Scott, Tim Wiebe, Nancy Lamothe, and Sarah Tuck gave examples of how work on L'Arche Canada's priorities made a difference. 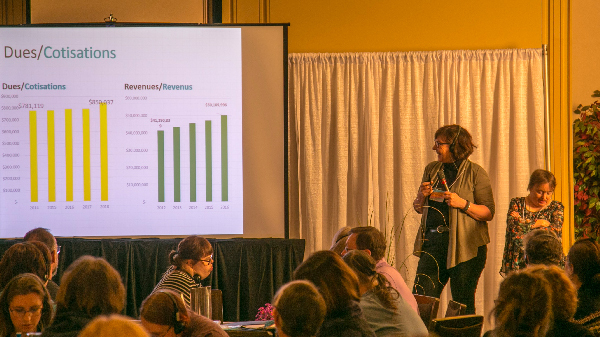 The Annual Meeting of L'Arche Canada did official business such as approval of the financial statements, Board reports, and the nomination of board members. John Rietschlin was nominated for one year as Board Chair and Vince Kazmierski for a second four year term. A potential ninth seat will be left vacant at this time. Jennifer Cawley-Caruso was put forward to take a seat on the Nominations committee. 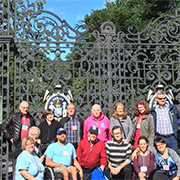 Marcel Morin, the Chair of L'Association des Arches du Québec (Quebec Region) and John Rietschlin gave a report on the progress of the mediation talks between the region and L'Arche Canada. This important first step has led to an agreement approved by both boards to move forward together. Many steps remain to find ways to work together well and build on this agreement. 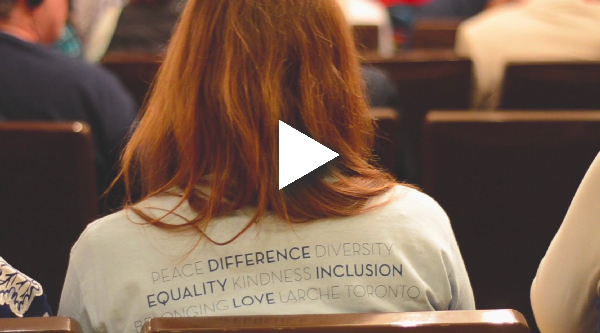 John Rietschlin, the Board Chair, (you can listen to his report in this video) gave a report of the work of the L’Arche Canada Board L’Arche in Canada is changing and coming together more. We want to make a difference and help people with disabilities take their rightful place in Canada. 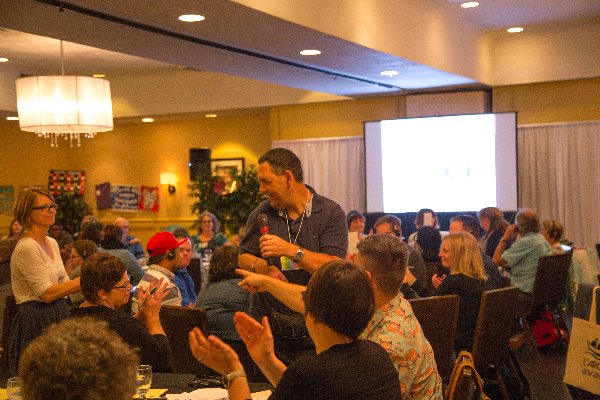 The Board wants to make sure that L’Arche Canada does the things that the communities can’t do alone like finding assistants, helping leaders grow, supporting L’Arche International, and speaking out on things that matter to us. We look for ways to support the communities to be healthy and working together to achieve our mission. 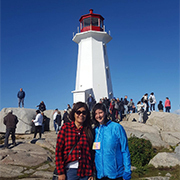 The Board and L’Arche Canada Foundation supported the Growth priority with the communities and new projects. We are growing in the ways we share life, provide supports, and connect within our neighbourhoods and other organizations. In our first 50 years, L’Arche made a difference in helping people with disabilities make their home in their communities. In the next 50 years, we can dream and work together within L’Arche and with our neighbours to make sure that everyone is able to take their place and contribute their gifts. Stephan Posner and the committee introduced themselves and their work. This talented team worked hard and gave their best to bring their recommendation to the General Assembly. They recognize that the timeline they were given was very tight and that communication sometimes lacking. They appreciate the high level of engagement of everyone involved. The Board approved the committee and gave them the authority to develop the Mandate and nominate the National Leader. The committee discerned using Jeremiah 29:11 to guide them. Questions were developed and shared with communities who gave a lot of thoughtful feedback. They reflected on the L'Arche vision and the L'Arche International Mandate 2017-2022. They sought to build on the good work and learning of the past 5 years while looking forward to where we want to be in 5 or 10 years. 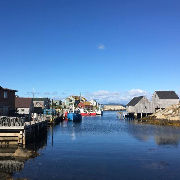 b)The proposed Mandate calls L'Arche Canada to a “A time to embrace change to meet the challenges of our changing world.” It built on the directions of the International Mandate: Go Deeper, Go Out, Go within. c)The nomination of the National Leader. The process led to the decision not to call Hollee Card as was announced in July. This remains painful and confusing for many members. The committee received the names of many possible national leaders from which they narrowed the list to 6 names. They had good conversations with each, and one name emerged, Louis Pilotte. The committee had a second interview and then a third with the Board who also spoke with people who know of Louis's work as National Leader of L'Arche France and Director of Communications. 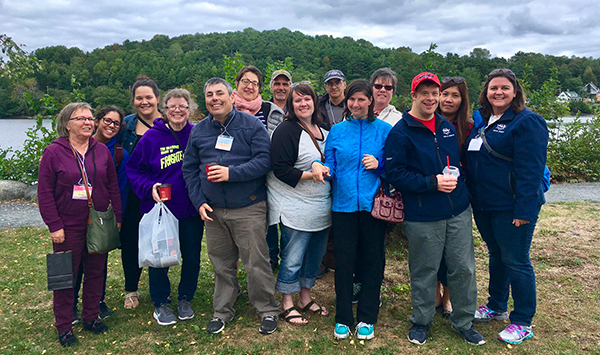 It was a thorough process and both the Committee and Board have confidence that Louis has the skills and experience of leading a national organization through major change with the desire to listen and learn with all in our diverse L'Arche in Canada. 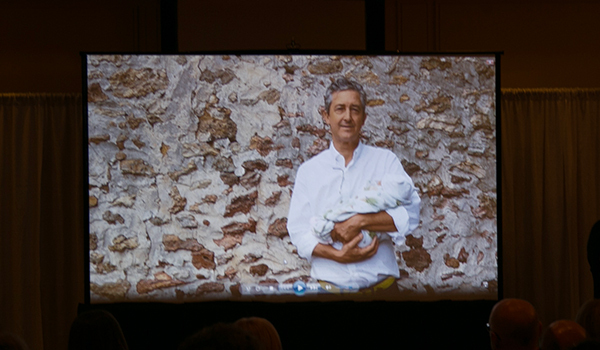 Louis Pilotte presented himself through a video. He could not attend the Assembly as he is currently in France to accompany one of his daughter who just gave birth. It was a bittersweet moment for the Assembly to say thank you to Hollee Card for her 19 years in leadership of L'Arche Canada. 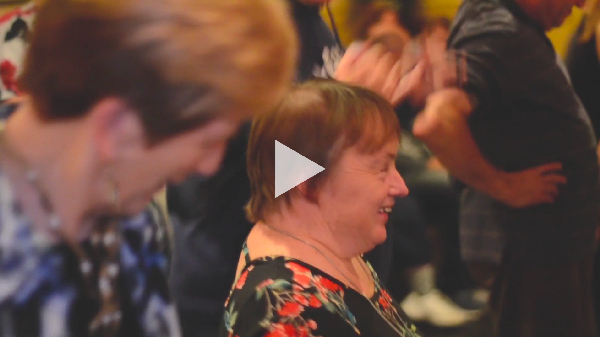 Through videos from Jean Vanier and Eileen Glass, and words form Stephan Posner, we heard from the leadership of L'Arche International of their deep appreciation for her leadership for L'Arche around the world, her passion and commitment to L'Arche, and their knowledge of her as a woman of integrity, faith, and courage. Each wished her well in the journey ahead. 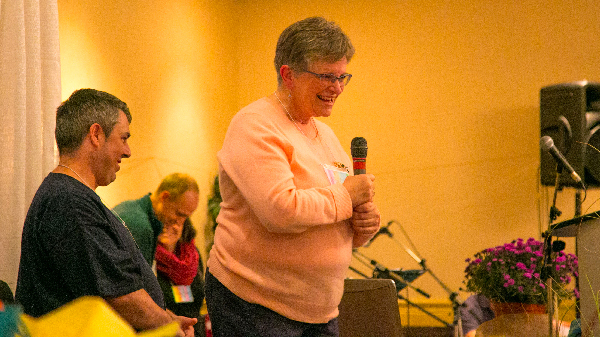 Then it was time for each region and the Board of L'Arche Canada to express their appreciation and gratitude for the many ways Hollee has inspired us, walked with us, supported us, loved us and called us to grow. She is a deeply loved friend and companion in the journey. Hollee received gifts made by members and a book of the paintings from the L'Arche Canada 50th Art Exhibition. The Western region committed to welcoming her home and supporting her in the months ahead. Hollee spoke about her gratitude for the privilege of carrying the leadership for an organization that she dearly loves and believes in. She also called us to pay attention to the shadow side, the ways in which we are stuck in patterns which continue to cause harm, and find ways to move forward together. 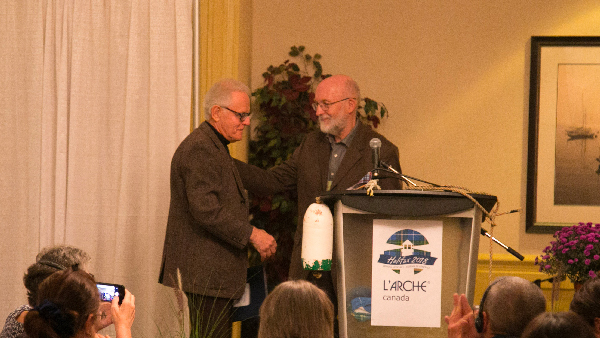 The world needs L'Arche, so we need to work together to keep it alive and having impact. More photos on our Facebook group "Celebrate the Gift" page. 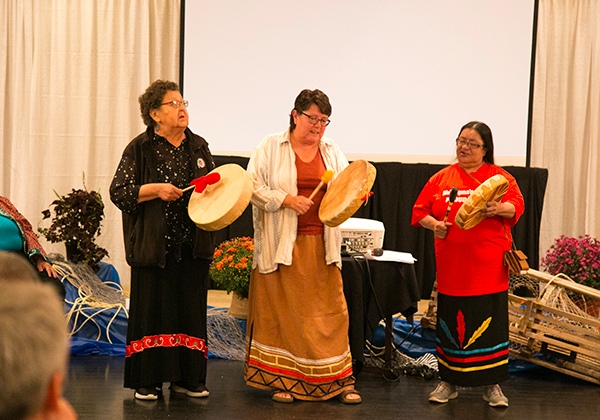 Rosie Sylliboy and some of her friends (see video) from Mawit’mk joined us to lead the welcome ceremonies. Rosie is from the We’Koqma’q first nation. She is no stranger to L’Arche. She first visited L’Arche Cape Breton in 1986, and spent some time in the workshop. Then, she joined L’Arche Tacoma. 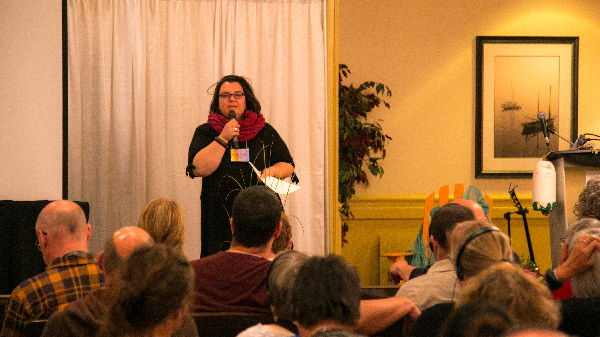 Rosie remained close to the vision and values of L’Arche , and hoped for a place in her own Mi’kmaw community where the unique gifts of each person would be celebrated. The dream was realized in 2007 when Mawita’mk opened. Mawita’mk means being together. Today, Rosie is the manager. Mawita’mk activities include a work program, assisted living for people with disabilities, cultural workshops, drumming and traditional medicine. People receive supports in the Mi’kmaq language which is an integral part of their spiritual identity. Watch "The Best Crier Ever! John Gillis piped the delegates into the Assembly. Bagpipe music and the tartan celebrate the traditions of New Scotland (Nova Scotia). 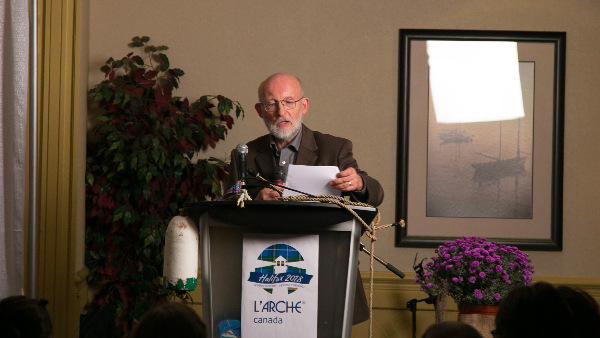 John Rietschlin, the chair of the Board of L’Arche Canada, opened the General Assembly. Will Brewer, the town crier for Olde Town of Halifax, joined us for the welcome. Will is believed to be the first town crier in Canada who has Down syndrome. 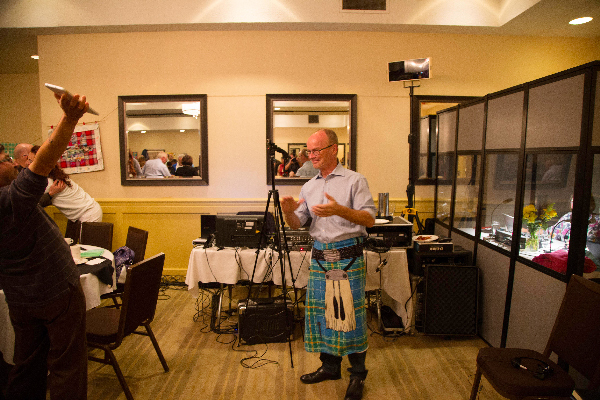 He called each community to come forward and present the tartan they created to represent their community. 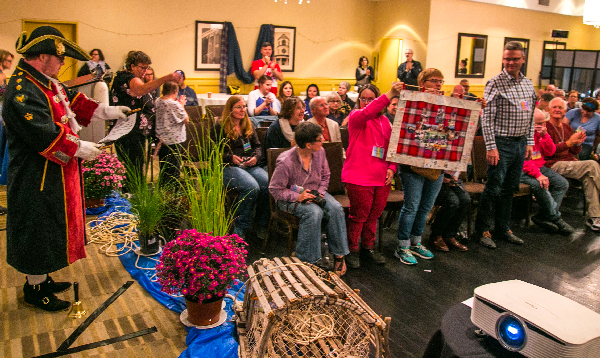 The L’Arche tartans celebrate the unique gift of each community coming together as one L’Arche Canada. The evening ended in prayer where we remembered our members who died in the past year.